The issues of development of bilateral cooperation between Turkmenistan and the Energy Charter were discussed on January 22 in the Ministry of Foreign affairs of Turkmenistan on the meeting with the delegation under the leadership of the Secretary General of this organization, Urban Rusnak, who arrived in Ashgabat on a working visit. This is reported by the website of the MFA of Turkmenistan. 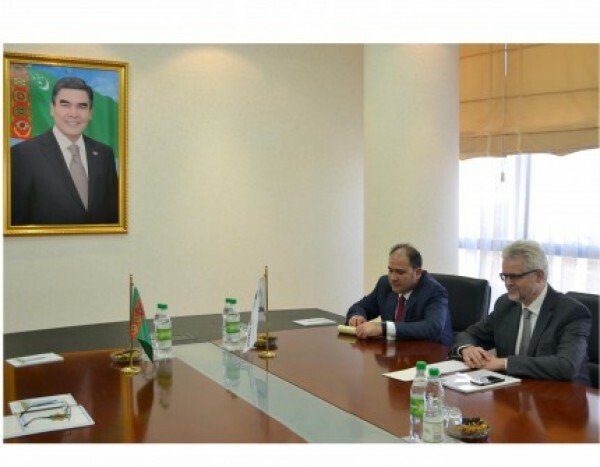 Within the framework of the Memorandum of understanding between the Ministry of foreign Affairs of Turkmenistan and the Secretariat of the Energy Charter on further development of cooperation, signed on November 28, 2017, the issue of training of representatives of Turkmenistan in the Secretariat of the Organization was also considered. As noted in the information of the Ministry of foreign Affairs of Turkmenistan, international partnership in the energy sector is today one of the determining factors of sustainable development of States, global peace, stability and prosperity. On this basis, Turkmenistan, being one of the leading energy powers in the world, has been conducting purposeful foreign policy activities in recent years, focusing the attention of the world community on issues of energy security. In this regard, noting the priorities and effectiveness of the 28th session of the Energy Charter conference held in Ashgabat on November 28-29, 2017, the parties considered the issue of holding the 15th meeting of the task force on Regional Energy Çooperation in Central and South Asia (RECCA), which is planned to be held in 2019.